Are you looking for our contact information? Would you like to email customer service? You can find our Address and Phone Number HERE . We also have additional resources available on our Resources page. Do you have any Questions, Comments, Suggestions, or Tips? You can Email Customer Service here or send an email to Service@MendaBeauty.com . Feel free to contact us at any time - we will be happy to help. I am a Reseller/Distributor. How do I start carrying MENDA? Thank you for your interest! Please Contact Us and we will let you know how to get started. We also recommend reviewing our Terms and Conditions page. How do I add or edit a shipping address? Adding a Ship-To address can be done during the first page of the checkout process. Simply check Use new Ship-to Address: and enter your address below. You may also opt to use the same address as your Bill-to. When your order is complete, this new address will show up in your existing Ship-To addresses. To edit your addresses, use the topbar menu to navigate to My Account . Under My Account click ViewShip-to Addresses . You will be presented with a list of your current shipping addresses, and clicking on an address will allow you to edit it. How do I view items I have purchased in the past? You will need to be signed in to view your past purchases. If you need help creating an account, please see "How do I create an account? " Click on My Account located on the topbar menu. Find the Order Information heading, click Orders or use the Search by PO/Order/Invoice No. field. From here you will be able to search for and view your past orders,including item details. How do I view/print an invoice? You will need to be signed in to check an invoice. If you need help creating an account, please see "How do I create an account? " From the home page, click on My Account located on the topbar menu. Find the Payment Information header, click on Invoices. From here you will be able to search for and view your past invoices. You will need to be signed in to update your personal information. If you need help creating an account, please see "How do I create an account?" From the home page, click on My Account located on the top of the page. Find the Settings header, click on Contact Information to edit your personal information. From this screen you may edit your personal information. How do I update my company information? Find the Settings header, click on Company Information to edit your company's information. From this screen you may edit your company information. Please refer to the PAYMENT TERMS section of our Terms of Purchase. You may register online and place an order through our Checkout after logging in, or place an order through our Guest Checkout. If you are a distributor or reseller, you will need to be signed in to place an order. If you need help creating an account, please see "How do I create an account? ". Creating an account with give you access to Real-Time Pricing, Order history, Order tracking, Invoices, and Order details. You can select the products you are interested in by browsing the catalog,or by searching for the part number or description of the item. Once you have found a product you wish to purchase, simply type in the quantity you wish to purchase, and click the Add To Cart button. After an item is added to your shopping cart, if you wish to change the quantity or delete the item from your cart, just change the quantity in the quantity box and select update my cart. From your shopping cart you can then access our Checkout where you can fill in your billing and shipping information as well as your desired freight method. How do I track or check the status of my order? You will need to be signed in to view your orders. If you need help creating an account, please see "How do I create an account? " Look for the Orders link under the Order Information heading . From here you will be able to see any pending orders. Select the order you are looking for, and use the tracking number to track the package through the freight provider, or view the invoice you are looking for. Where do I remit my payment(s) to? Checks must be drawn on a US bank in US dollars.Please refer to the PAYMENT TERMS section of our Terms of Purchase. How do I find my part number? The quickest way to locate a part number is to plug it into the Search field , located at the top-right of the page. You may search for part numbers or specific phrases matching the part's description. I can't seem to get past page XXXXX, why? There may be required fields that you have not filled in. Check the page for any red asterisks - * that denote a required feild. If you have any problems, contact us at (909)627-2453 or Send Us an Email. How do I find local distributors? 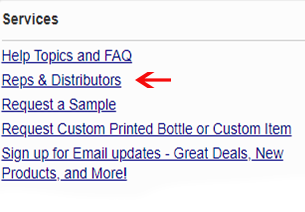 You can find contact information to local distributors on the "Distributors" Page, under Resources on the left-hand bar. How do I obtain an MSDS (or Technical Document/Drawing) ? There are three ways to accomplish this. For a specific product on a category view page, you can click the Technical Information link beneath the part number and description. For a specific product on a product page, you can click the Technical Information tab. For a full list of all technical documents, it can be found on any page in the footer section of our website by navigating to Technical Information. How do I produce a NAFTA certificate? We provide a web form that produces a printable NAFTA certificate. It can be found on any page in the footer section of our website by navigating to Resources. Under Resources click on NAFTA Certificate. You will have to enter your company information first. 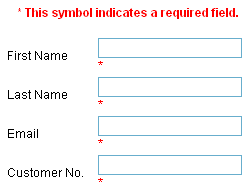 Then you may add up to 3 part numbers at first; if you need more click Add as needed. Click Verify to verify your part numbers. Click Reset if you need reset the form. Once all your part numbers are verified and your company information is entered, you may click Complete and submit the certificate. The printable certificate will contain 5 items per page, with page-breaks in pages as necessary. There is also a space near the bottom to enter the total number of pages. How do I subscribe/unsubscribe from your email list? Just send an email to Service@mendabeauty.com. We honor all removal requests. You may also use the unsubscribe button at the bottom of every email we send. If you wish to unsubscribe, please note that you will be unsubscribed from all emails from Desco Industries Inc. and all related brands. Emails include the latest industry news, announcements, promotional offers, pricing updates, and more. Yes, we are able to ship international. We are able to pre-pay and add UPS freight to your invoice, as well as by most major carriers. How do I insure my shipment? Please refer to the SHIPPING AND HANDLING CHARGES section of our Terms of Purchase. You may select whether or not to insure your shipment during the Shipping step of the order checkout process. At the top of any of our pages, locate the "Login/Register" links. Click on "Register" to create a new account. If you are an existing customer with a login ID already, please click "Login"
If you have ordered from us in the past, you have a customer number associated with your account. You can locate this number on an invoice, or by contacting customer service at service@mendabeauty.com or by calling (909) 627 2453. Choose the "Existing Customers" option. Follow the steps from there. Do I have a customer number if I have ordered from you in the past? If you have ordered with us in the past, there is an account number associated with your account. This number can be obtained from a previous invoice by emailing us at service@mendabeauty.com or by contacting customer service at (909)627-2453. Is my customer number my login? No, an individual login and password are created upon registering on our site. If you need help creating an account, please see "How do I create an account?" Your account number is necessary to utilize certain functions of our site including viewing order history and printing invoices. I'm getting an error trying to signup, why? If you are having problems, please call us at (909)627-2453 or Send Us an Email.